According to Henry-Russell Hitchcock, one of the pioneers of nineteenth-century architectural history, Stevenson and E. R. Robson (1835-1917) introduced elements of what later developed into the Queen Anne style when they built non-gothic brick schools following the Education Act of 1870. 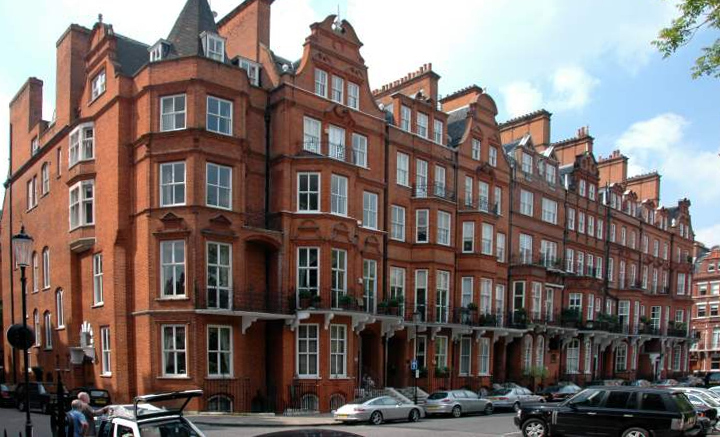 In 1871 Stevenson, like Shaw a Scot out to make a London reputation, built a new house for himself in what is now Bayswater Road. This he named the Red House, like Morris's at Bexley Heath of a decade earlier, in order to call attention to the fact that its brickwork was not covered with stucco but exposed like that of the Thackeray and Howard houses in Palace Green. In fact, however, it was built like the Board Schools of brownish stock bricks with red-brick detail elaborately moulded, gauged, and cut in the Late Stuart way. Although Stevenson's house had little of the real elegance of Kinmel or the natural ease of Shaw's manors, its novelty and its fairly conspicuous location would have attracted attention in any case. But Stevenson, a very accomplished publicist, saw the advantage of proclaiming for this hybrid mode a name, 'Queen Anne', which evidently no less applicable to Nesfield's Kew lodge and Kinmel or even to his friend Robson's schools. Thus was a revival formally launched. Nonetheless, as soon as Richard Norman Shaw adopted the style in 1872, it became his, and it was was Shaw and not Stevenson who was chiefly responsible for the later dominance of the style often known as Pont Street Dutch. Croot, Patricia E. C., ed. "Settlement and Building: From 1865 to 1900." A History of the County of Middlesex, Vol. 12: Chelsea (2004), pp.66-78. Viewed 12 June 2008. Durant, David N. The Handbook of British Architectural Styles. London: Barrie & Jenkins, 1992.